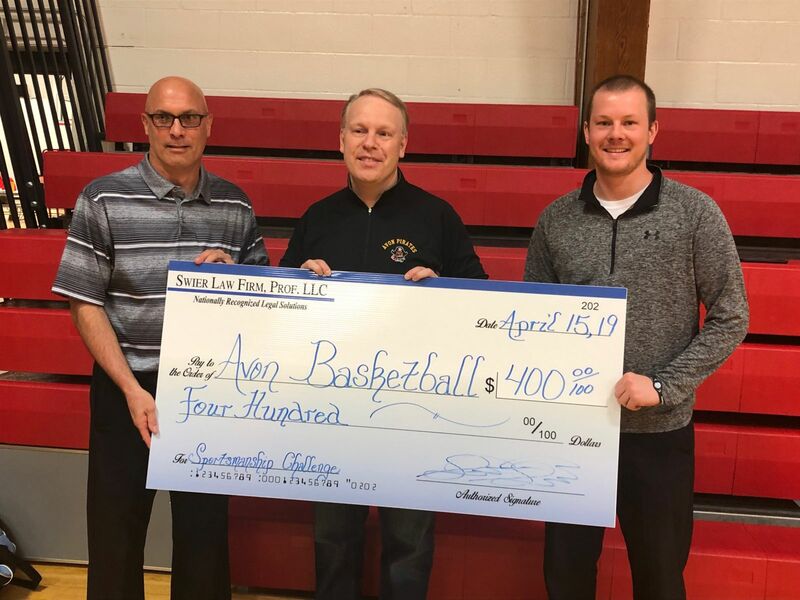 The Avon High School boys' and girls' basketball teams have successfully completed the Swier Law Firm "Varsity Basketball Sportsmanship Challenge!" At the beginning of the 2018-2019 basketball season, Swier Law Firm selected ten schools from throughout South Dakota to participate in the law firm’s inaugural “Varsity Basketball Sportsmanship Challenge.” The Challenge's requirement was straight forward - these schools' varsity basketball teams could not receive any technical fouls during the 2018-2019 basketball season. If these selected teams successfully completed the Challenge, they would win $400 ($200 per team) to use for team camps, shooting shirts, or any other reason the coaching staff sees fit! "Good sportsmanship defines players and coaches and develops life skills like character, teamwork, discipline, excellence and hard work," said Scott Swier. "Our law firm is very proud of the Avon boys' and girls' basketball teams for completing this year's Challenge!" Congratulations to Avon Girls' Basketball Coach Brad Poppe and Avon Boys' Basketball Coach Tanner Termansen for setting a great example for their players!